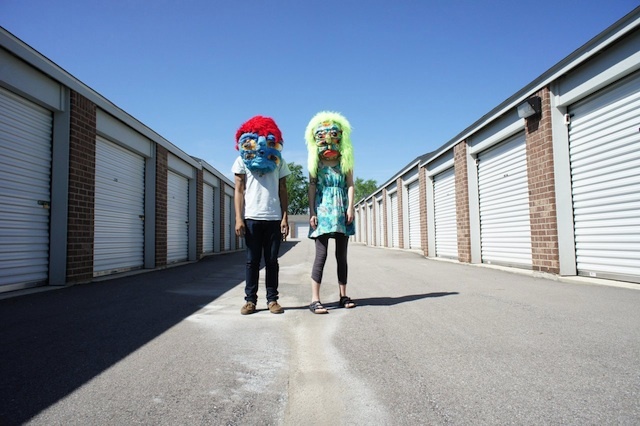 Masks by Jenny Ollikainen, Worn by Jenny Ollikainen and Diego Yanto. Indianapolis 2011. This past weekend I was playing DJ at a friend’s bank holiday barbecue in London (“bank holiday”=long-weekends where everyone is off work in the UK), and once I got to being too lazy/drunk to DJ song-by-song anymore I put on one of Diego’s mixes. Everyone was really into it and asking about what it was, which got me thinking about how much I miss the old BEATSINFACE cassettes. So today some friends and I somehow got a sick Diego [#awwww] to cook up a new mix in a matter of minutes, which has all sorts of loveliness from the likes of Salem, Clams Casino (one of my new faves) v. Jay-Z/Kanye West, Das Racist, Planningtorock, Holy Ghost, James Drake (yes Drake, not “Blake”) and SSION among others. Let me explain the lineage of the BEATSINFACE tapes, ’cause its about time their existence was documented. 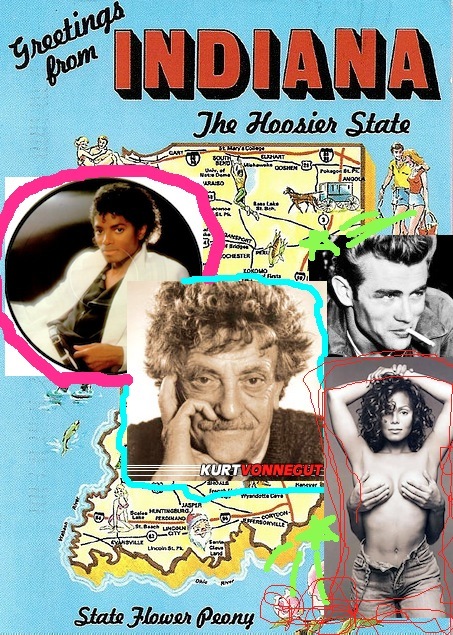 While I think it is fair to say that my home-state of Indiana isn’t exactly renowned as a hotbed of cultural offerings, there have nonetheless been the occasional bright spots (perhaps you’ve heard of James Dean, Kurt Vonnegut, or Michael/Janet Jackson?). However I think most people would be surprised at what you can unearth in Indy’s art/music scene if you dig a little bit. Because its such a small place, all of the best people tend to move between one or two venues in Indianapolis (and Bloomington), which leads to an unexpectedly high potency of talent. 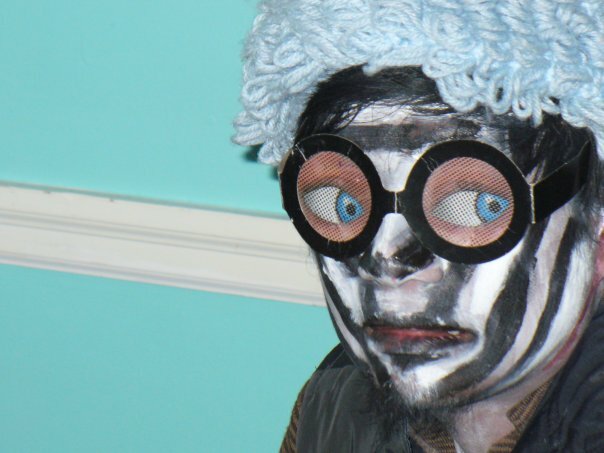 Maybe being isolated in a sea of cornfields lends itself to fostering some kind of creative purity…..? I feel like it is almost an advantage for some of the local artists/musicians that they are at a distance from the dominant scenes in New York/LA/London etc etc. because at least creativity-wise they aren’t as tainted by these outside influences (although truth be told most of them tend to leave Indy eventually, including Diego who now lives in the Netherlands). And damn guys these mixtapes were GOOD. Like damn good. Two tapes with sides A and B full was enough to get me through a road trip in 2007 from Zionsville, Indiana to Bristol, RI by way of Toledo, Philly, and NYC without getting bored/annoyed. Part of that was no doubt the diversity of music: somehow flowing seamlessly from, for example, the Gang Gang Dance to Chromeo to the Chromatics to some obscure hip hop and then an amazing italo-disco track where the only lyrics are “Dragon …uh huh….dragon….rawrrrr” (and don’t forget this was 2007). So anyway, I was lamenting to Diego on about how much I miss his mixes, and a few others joined in (proving the FB does have the capacity for good in it somewhere)..as it happens he was home sick and so just threw this mix together for all of us in less than an hour, maybe even less than 30 minutes… it was ridiculous. So I thought I would share the joy with all of you (and cross my fingers that Diego won’t kill me for sharing something I know he won’t consider near polished enough to share with the general public as he “didn’t even have a DJ interface” on hand, so he ripped it with his index finger and some free virtual DJ software, which I think just makes it all that much more impressive).